Quico says: What a long, strange trip this Honduran coup has been. It takes a crisis of this magnitude to reconfigure the hemisphere’s idea of itself, to cast players in new roles or, rather, to recognize players in the roles they’ve been playing, quietly, for some time. Deprived of that old, faithful narrative of the all-controlling Bushista-CIA-gone-wild, Chávez has struggled mightily to try to implicate the US credibly in the coup. And stripped of the US as foil, what has come to the foreground, instead, is a new clarity on Chávez’s outsized ambitions and destabilizing influence in the region. With the crisis on its third week and Chávez still devoting “48 hours a day” to Honduras, he has unwittingly cast himself as puppetmaster. Nobody can seriously doubt, any longer, that Chávez is the real power behind Zelaya, his only true power resource. Because, when you think about it, Zelaya’s entire post-coup strategy has depended on Venezuelan resources: Venezuelan airplanes, Venezuelan TV stations, Venezuelan diplomacy and Venezuelan money. This fact – which has been lost on absolutely no one who follows hemispheric affairs – has managed to transform the Honduran soap opera into a kind of proxy coup: a conflict that is about, first and foremost, Chávez’s idiosyncratic understanding of democratic legitimacy. With images of tanks and soldiers bringing back old memories and passions, it’s costly to say that what really happened in Honduras is that they put a stop to Chávez’s meddling. The illegality with which Honduran politicos and military men acted attests to that country’s incomplete democratic transition, but make no mistake about it: Honduras is the victim, Chávez is the culprit, and Zelaya is a poor ingenue who was used to create this conflict. When the Colombian military crossed the border and went into Ecuador last year, the situation was similar: Colombia was the victim, the most strategic of FARC’s camps was on Ecuadorean territory, and the formal sin was to violate another country’s territory. Recently, Peru suffered more than 20 casualties, most of them cops, in a conflict with indigenous people; chavista meddling was also a factor in that occasion. To that we can add the suitcase full of cash in Argentina, the support for Ollanta Humala in Perú, as well as for the Colombian FARC and the Salvadorean FMLN. Without Chávez’s money, Daniel Ortega would not have been able to commit electoral fraud in Nicaragua. In the 60s, 70s and 80s, Cuba took on a policy of supporting insurgencies that fought dictatorships, as part of its strategic defense against US attacks. Chávez, on the other hand, destabilizes democracies even though nobody is attacking Venezuela, there is no blockade, there are no contras, no assassinations, and the US remains his number one oil buyer. Chávez, Ortega and Correa’s role in attempts to bring back Zelaya to Honduras are part of a policy to govern outward, creating or worsening others’ conflicts rather than solving the problems in one’s own countries. The use of the Venezuelan state owned network Telesur to coordinate “diplomacy” with street brawling, the involvement of Venezuelan planes and pilots, the calls for rebellion, all these speak for themselves: Chávez needs dead hondurans. The upshot is that, whether we like it or not, internationally isolating the Honduran government increases the risk of violence. What we need now is a policy of mediation to aid the reconciliation between Hondurans, not supposedly diplomatic initiatives that actually escalate the confrontation. We need to persuade, not impose and, most importantly, we need to look at the entire problem and not just this coup. It may be that the Honduran problem can be resolved through negotiations, but it’s only a matter of time until Chávez provokes another conflict somewhere else and perhaps another government will decide to stop him using methods that break the law, as Colombia and Honduras have already done. But the international community can hardly demand that Honduras reinstate Zelaya if it won’t do anything about the fraud Ortega committed in Nicaragua or lift a finger to put a stop to Chavez’s interventionism. It’s still far from clear how the Honduran crisis is going to play out in the end and – to my mind, much more importantly – what collective lessons Latin America will learn from it. 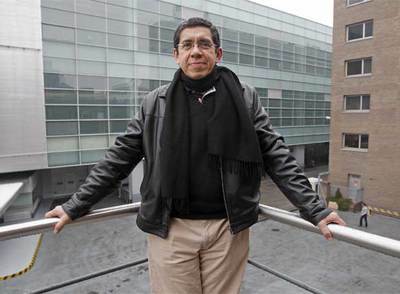 But Villalobos puts his finger on one way Latin America will clearly be different after the crisis than it was before: Chávez’s determination to impose his understanding of legitimacy can no longer be doubted. The systematic nature of the threat to hemispheric stability he poses can no longer be softballed. By the time it’s all said and done, the Zelaya crisis might be remembered as a kind of Debutante Ball for Chavista Imperialism. Next articleWhy are we talking about Antonio Ledezma in the first place?